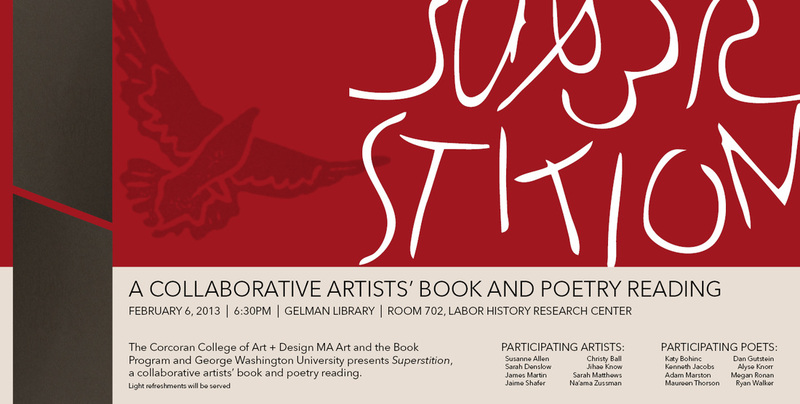 8 artists and 8 poets in the DC area. 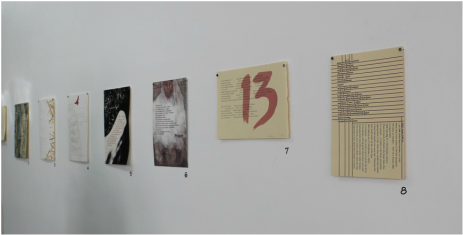 Each artist created one broadside interpretation of a poem inspired by the theme "Superstition." Artists: Sarah Denslow, Sarah Matthews, Jihae Kwon, Na'ama Zussman, Susanne Allen, James Martin, Christy Ball, and Jaime Shafer. 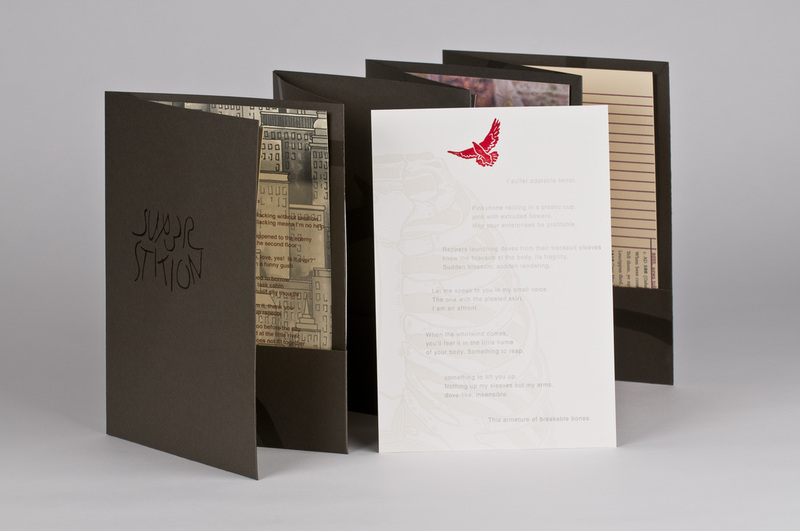 ​Poets: Maureen Thorson, Katy Bohinc, Adam Marston, Dan Gutstein, Alyse Knorr, Kenneth Jacobs, Meg Ronan, and Ryan Walker. Superstition is a part of the permanent collections of Yale's Beinecke Rare Book and Manuscript Library, George Washington's Gelman Library, and Samford University in Birmingham, Alabama. on Rives BFK and Mohawk paper.